Very quiet house on secure street with ample on street parking to share with three others (only share bathroom with two others as one room en-suite). Mature person required and quiet students will be considered. Not a party house. Single room only and unable to share. Strictly limited to one person in room. Room furnished with bed, desk, etc. Telstra BigPond cable broadband unlimited but slowed after 1000GB per month, rarely slowed. No pets of any description or size can be kept at property. Flat screen TV/DVD combo in room. Shared lounge and kitchen with TV. Contact via this site or text my phone. Often unable to take voice calls. Hi, welcome to Clear Island Waters. This has to one of the best locations on the coast for flexibility and quality. The local streets are quiet and my place backs onto the local school ovals, so the villa has a serenity feeling about it. Within 2 kms there is Qsuper Centre, Pacific Fair, Fitness First Mermaid Waters, fuel and various local shops. The bus stop is a 5 minute walk. I own a 3 level villa in a secure complex. The top level is where bedrooms 2 and 3 are situated. There is a bathroom with a separate shower and bath tub. There is also a separate toilet room. The top level is fully carpeted with ducted aircon and ceiling fans. Only 1 room will be rented out. The available room is unfurnished with built in robes. The main lounge, dining and kitchen area are on the main level with security screens and a sliding door that opens onto the rear deck for the bbq and table. The deck has views to the local lakes and overlooks the local primary school ovals. There is usually plenty of bird life around. 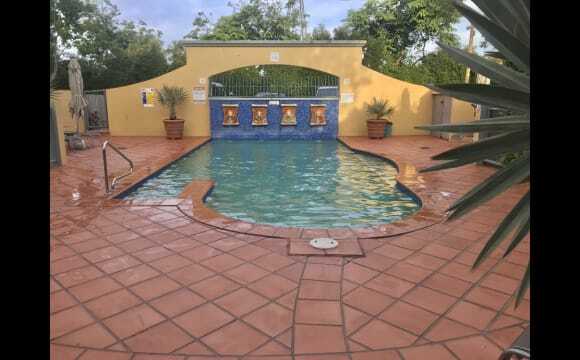 The gated community has 2 pools in different locations, the main pool is across from my villa and also has a spa, sauna and a gym in the pool building with toilets and a bbq area. I have a 6 year old beagle. He is a part of the household and spends most of time following me when I am home. He sleeps in his kennel on the back deck. As this is a gated community there rules around facility usage. Common sense, mature attitude and respect is a must. This is not a party house. reliable with bills, open minded, keeps to self, pretty tidy. Have a pool overlooking the water, very nice ,safe ,quiet area. So close to pacific fair, robina town centre and close to public transport. 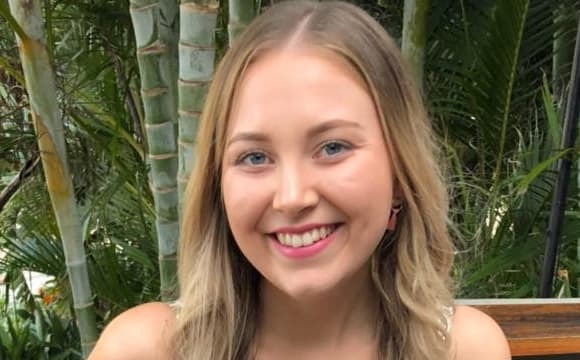 UPDATED PROFILE 22/04/19 - LOOKING FOR A 1-2 bedroom apartment I run my own business fulltime, in a office space in Bundall. I'm an absolute blast to be around, just ask me ;) I am clean, not OCD levels, but pretty close to it though haha. Big Bonus I'm reliable &amp; a Non-smoker, can't get better than that ha! I am looking for a 2 bedroom apartment! 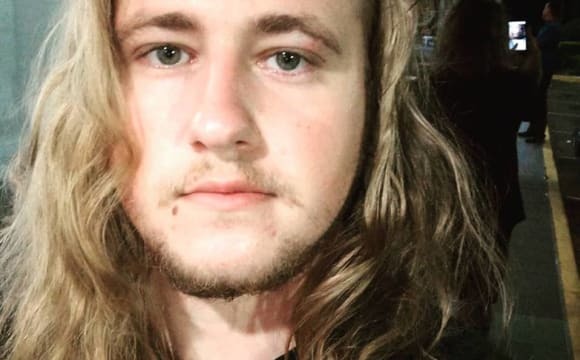 Send me a message to connect. We currently have 1 small room becoming available for $150 per week. We are looking for male housemate between 20 and 35. Room is fully furnished. 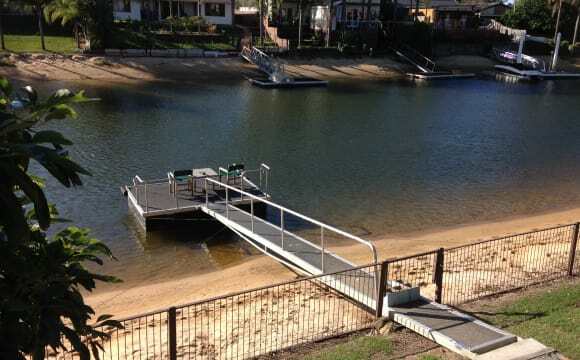 The house is located on a canal close to the main river in Broadbeach Waters. It is close to a major bus stop/route (300m) and a great shopping centre with all services (300m) so you don't need a car. It is centrally located and handy to major roads for all directions if you do have a car. We rent the rooms individually, not the whole house. The price of the room includes: - Unlimited Internet -Electricity - Water - A House cleaner for common areas - all yard and pool expenses. It is fully Furnished with BBQ facilities, Great Pool and deck overlooking the canal - Access to boating facilities i.e. Pontoon. There are no Pool, garden and lawn maintenance/chores required. 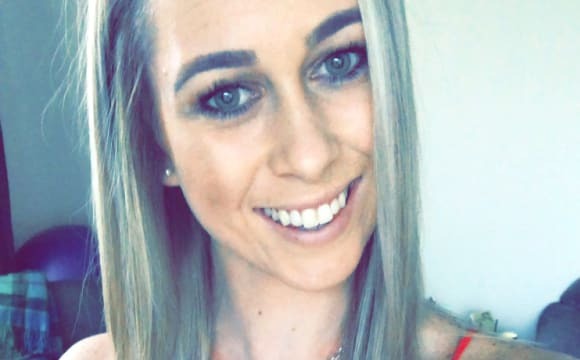 Nothing more to spend We are easy going people who have careers and enjoy socialising. We enjoy a BBQ and a beer on weekends and are quiet during the week. This is a quiet but fun house with pleasant and respectful housemates. The house is clean, tidy and has recently been renovated. If this sounds like what you are looking for we would love to hear from you! Sorry we do not accept couples or pets. You need to have a job and we do not do short term rentals. A minimum 6 months stay is required with 3 weeks notice to leave. Situated in a quiet Cul-de-sac. I have 2 rescue cats and a 14-month-old Rottweiler so must be animal-friendly. They are very shy.M ust be an animal lover, Large fully furnished 4 bedroom house. Plenty of room for privacy and outdoor entertaining with a lovely garden setting and a large in-ground swimming pool. Located a short stroll from cafes and restaurants, Jupiter's Casino which is undertaking a $345m makeover, Pacific Fair with its $670m transformation and the Gold Coast's newest attraction the G:Link Light Rail. The Q Super Centre and schools are very close by also. All necessary amenities are in close proximity and with Broadbeach Waters now one of the property hot-spots. "Walk in, feel home" 17 hectares of Fresh water lake , 4 meters from back door. Great owner to deal with direct. Only ever 2 or 3 occupants It is kept clean n tidy, large gardens, privacy, Quiet neighbourhood.  Close to Beach, Shops, Pacific Fair, Star Casino. Broadband, Netflix, air conditioning, undercover parking, dishwasher, etc. No midges. "Its all good". Includes Wifi and also has a great outdoor area with a pool. 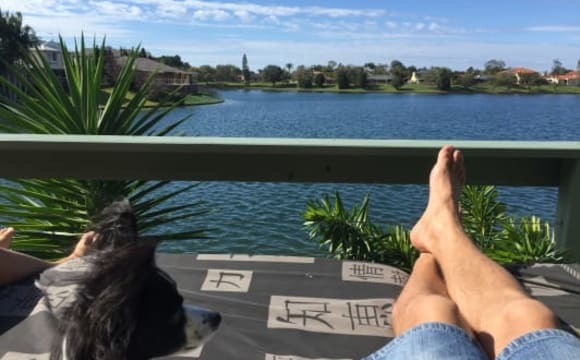 ROOM AVAILABLE after 23 April, looking for someone long stay .We live in one of prestigious areas on the Gold Coast, Mermaid waters, near beach, lakes, parks, walk to shops and all amenities, near Bond Uni, quiet, safe and secure. We live in a quiet street, across the lake, warm and Cosy. Large entertaining area at the back, huge swimming pool, modern kitchen and bathrooms. European family, mother and adult daughter, who is studying full time and working. Looking for someone friendly, respectful, clean and quiet to be a positive addition to our family. Student or a employed male preferredbut will consider girls and Will consider two girls to share a room. We are into good food, great outdoors and healthy living. You will be treated as a member of our family. Room is Fully furnished with queen size bed, student desk, built in wardrobe. You can have total privacy living quietly and independently from the rest of the household. Kitchen and bathroom sharing with one. Lakefront property on a quiet, safe street. Mermaid Waters is close to shops, great restaurants/cafes and the beach. The house has excellent facilities including: - large deck overlooking the lake and a big daybed - huge kitchen and a bar, gas stove, thermomix - Netflix and Wi-Fi - and plenty of storage space. The room itself is currently unfurnished (can be furnished on request for additional weekly rent) and has a big built-in wardrobe, a ceiling fan, and a nice view of the leafy front fenced garden. We have a lovely fully furnished large bedroom available in our very homely waterfront home in Mermaid Waters available for short term rental from 3rd May It is fully furnished with QS bed and quality linen and has it's own private entry direct onto front patio. This room shares the family bathroom ( which is directly opposite room) with one other. It has plenty of cupboard and wardrobe space. There is off street parking. Room # 2 This room is also fully furnished &amp; very spacious &amp; private. Opportunity also available to have private entry to home. Room is newly furnished with QS bed ( including quality linen) &amp; is a very fresh, tropical decor. Rent for this room is $300 for a single person. Mermaid Waters is a very convenient &amp; central suburb &amp; the bus stop that services Bond University/Robina/ Pacific Fair/ Broadbeach &amp; light rail is just 1 minute's walk from the front gate. Broadbeach (Kurrawa Beach) &amp; Pacific Fair is also an easy walk from our home. 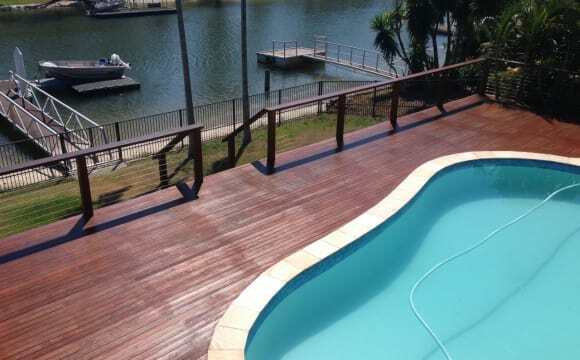 Our home has a very relaxed atmosphere &amp; a really beautiful spacious deck which overlooks the water to Broadbeach. An ideal place to sit &amp; relax with a coffee or something a little stronger in the evening perhaps? Perhaps maybe a wander along the private beach &amp; listening to the fish jumping may be something you would enjoy as well? You will be welcome to use the fully equipped kitchen for your meals &amp; also laundry facilities are at your disposal. We do not charge a Bond, nor do we have a lease, so can be suitable for someone while they are looking for longer term accommodation. However, we do expect that you will respect our home keep your room, bathroom &amp; kitchen clean &amp; tidy after use. Hi There, My name is Scott and I am looking for a friendly, respectful,tidy housemate to share this amazing house with 3 other(including myself) friendly, easy going flatmates. This place is situated in a quiet street, right on the side of a beautiful freshwater lake. It's can be great to just sit out on the deck and take in the view. If the freshwater lake is not enough, then this home also includes: Tiles throughout with the exception of the bedrooms. Amazing outdoor entertaining area Walking distance to shops and cafes Gas stove top in a spacious modern kitchen. Charcoal and gas BBQ's to choose from Plenty of storage space. NBN HFC internet. The Details The housemates so far are friendly, easy going respectful, and definitely not party goers. While not party goers we do like to try and get together for drinks and food, while also enjoying a good board game and laughs. I have a small dog that is clean and friendly and loves attention if you give it, but will also leave you alone if you just ignore him. Smoking outside as per the lease agreement. Room in unfurnished with a spacious wardrobe. The room is $200 p/wk with 4 weeks bond and 2 weeks in advanced upon approval from the Real estate. (+15p/wk for expenses additional cost if the $15 a week doesn't cover bills) Even in winter this place is beautiful, we have enough outdoor area for a fire pit and BBQ's. A peaceful 5 minute walk through a park to the Q Centre shops. 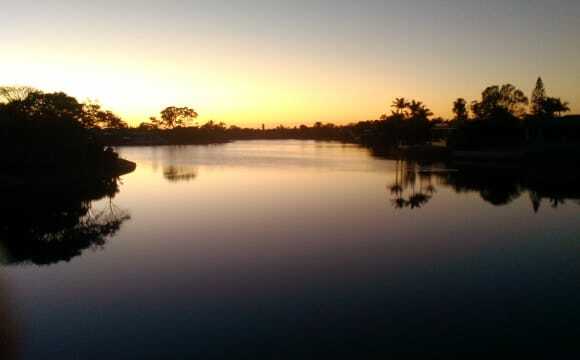 Buy a kayak or paddle board and you could get your exercise every morning over beautiful sunrises. And did I mention the place is AMAZING!! :) Please contact me asap to meet up and to organise to look at the place. 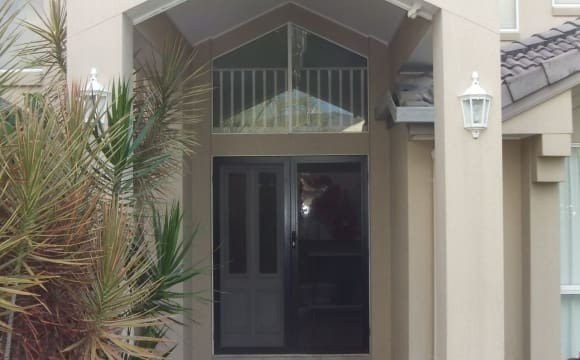 Room for rent in Mermaid Waters close to the Q centre. the house has an outdoor and an indoor pool as well as a giant living room. we love this house but we are moving to Brisbane due to work. price is $250 for singles and $270 for couples. Bond is 3 week rent. It was a retirement house and now there are rooms available to rent, it has large common areas, unlimited wifi, 2 swimming pools, 2 fridges, 1 kitchen, 7 people living in the house in total, be free to come and inspect the place. Newly Renovated, main river townhouse that simply is the epitome of Gold Coast living. The current room for rent is the one with the bed with the green pillows in the photos. It's unfurnished but the rest of the house is furnished. Bills included for 230p/w or 215pw with 1/3 of water + electricity billed quarterly. Three bedrooms and two bathrooms with a third toilet so no early morning arguments. Also just got a small kitten, she’s super chilled and affectionate and spends most no of her time in my room. I’m allergic to cats am fine with her. The usual, carport or street parking depending on how we all live. Awesome kitchen with backlit marble (I didn't know it was a thing either). Pool and tennis court in the complex. And great main river views Utilities are all included in the rent - even internet. A cleaner comes every 3/4 weeks and that's an extra 20$ each to do all the communal areas. Let the photos do the talking, the place is fully furnished (except for your room). The photos are from when I bought the place so the decor is a little less 'American Psycho' (still a great movie). I threw in a quick photo of the current living area as well. Aircon has recently broken and looking at installing new ones in the next few weeks. Truly one of the largest houses in Mermaid Waters, the lounge room alone is bigger than most houses. The bedrooms are all great sizes, we have an amazing outdoor inground pool. There is a bus stop at our front door as well as 3 other bus stops within a 1 minute walk. We are less than 10 min walk to Q Shopping Centre (Aldi, Coles, Woolworths and Specialty Stores and Restaurants). We are across the road from Lake Hugh Muntz. We are in a quiet friendly neighbourhood. The room is furnished as seen in the photos the mattress is near new, however it can be provided to you unfurnished if you prefer it. Fantastic location. Walk to Pacific Fair and Casino. House would suit full time worker and someone who does their own thing. Sorry no couples. Three months initial stay and then re assess. It is a townhouse in a gated complex, 4 bedroom; 1 master, 2 bedrooms, 1 study room! It has 2 bathrooms (1 ensuite - master, 1 shared large bathroom, 1 powder room). It is a 2 level property, master bedroom downstairs and 3 bedrooms upstairs. 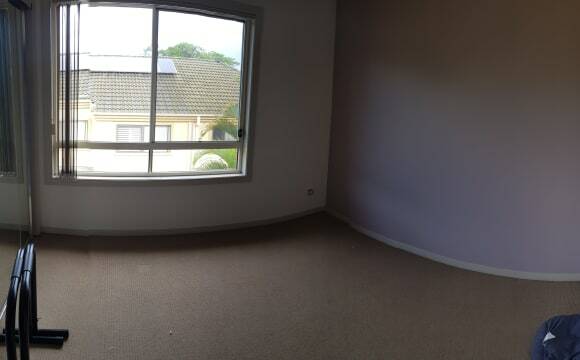 Room for Rent, Robina Gold Coast. Bedroom unfurnished, separate toilet and shared bathroom with a two. I’m 54 year old female who works full time Monday to Friday. I’m often out and about most weekends and sometimes during the week. I’m very easy going but also like to keep a tidy house. Separate lounge area upstairs. It is a fully furnished large townhouse in a gated complex with a communal pool. All power, water and WiFi bills included in the rent. 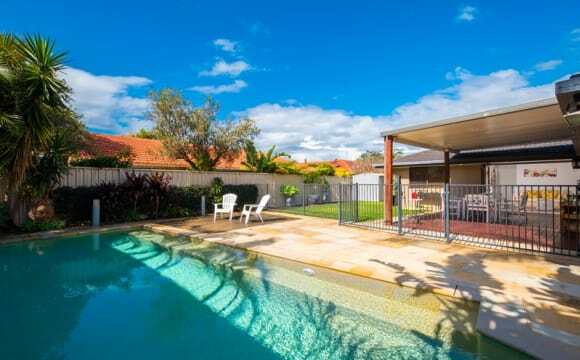 5 mins from Robina Town Centre and 10mins from the beach. Perfect, central location! If this sounds like you, send me a message for further details or an inspection. Off street parking. Rent: $200 inc bills. It is a nice organised House , located on the water . Awesome price for a private room with all bills included great people that leave here . rules are : be respectful and aware of the others. 2 weeks bond will be requied. IDEAL FOR OVERSEAS STUDENT. contact me . I’m offering the main bedroom in the townhouse. 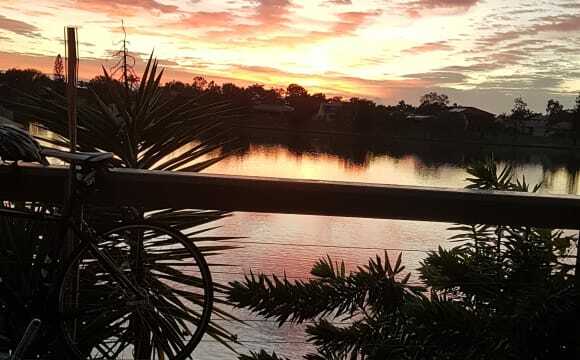 It overlooks Robina Lake and has a lovely outlook. The unit is well situated, so even though there is no air conditioning, it is comfortable all year round. The main bedroom and living room have ceiling fans. It is an older unit, but well kept. The complex has a tennis court and a beautiful pool, bar-b-que area. There is only one bathroom, but I frequently use the bathroom at a nearby gym so congestion wouldn’t be a problem.